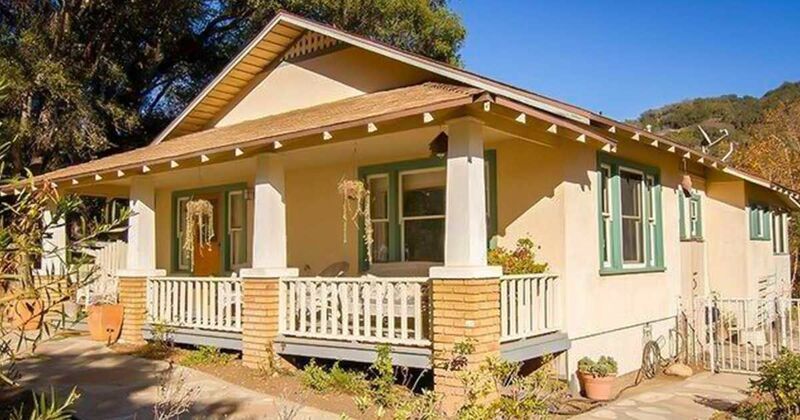 The homey, cozy craftsman style house is typically seen in California's suburban neighborhoods. Open porches, stone, wood and simple natural looks often characterize craftsman homes and while they're the perfect fit for neighborhoods, they look great in outdoor environments as well. 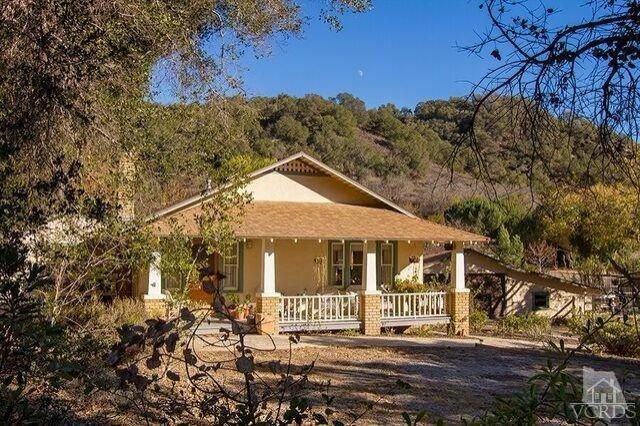 Take for instance this home in Ventura, California which is in the more rural outskirts of Los Angeles county. 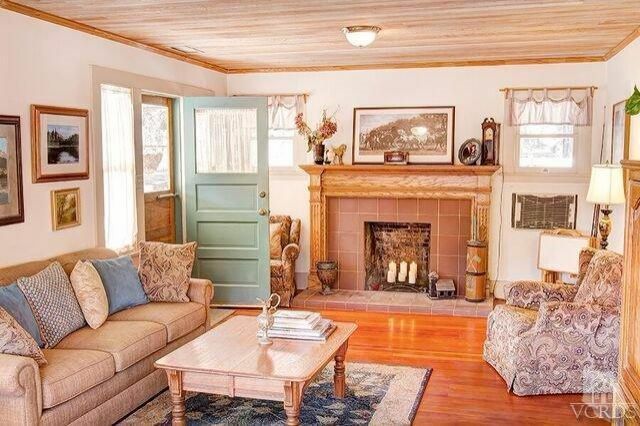 Channeling the spirit of a farm home in the body of a craftsman style home, this three bedroom, 1,323 square foot house is truly unique. 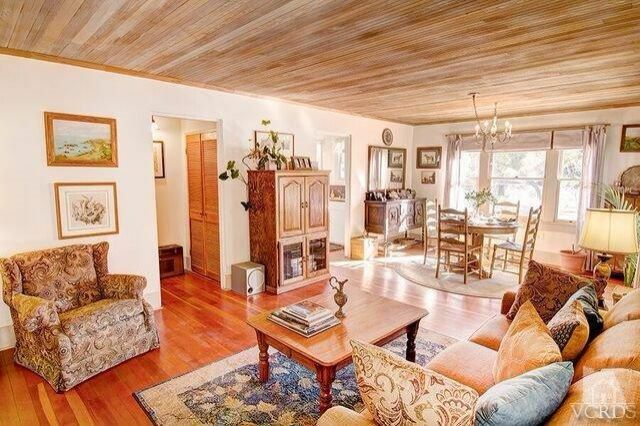 Surrounded by nature, this Ventura home offers quaint isolation. 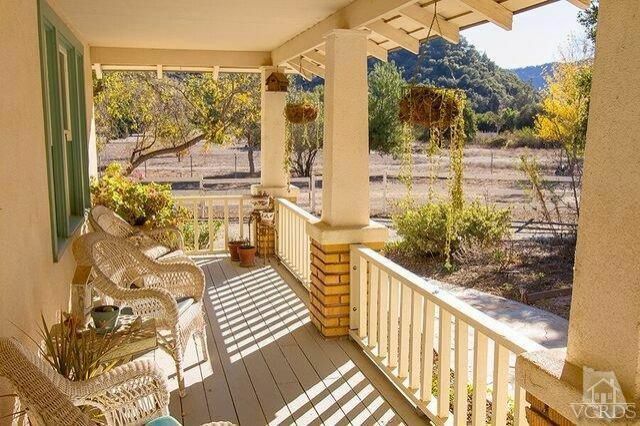 The open wraparound porch has plenty of sunlight and shows off plenty of the yard and surrounding nature. 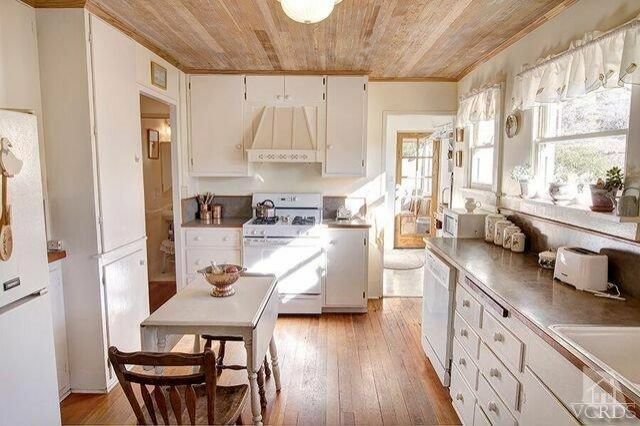 Quaint and cozy inside, there's plenty of wood details and clean white walls. The living room/dining room aren't huge, but the light colors in the home give it a spacious look. 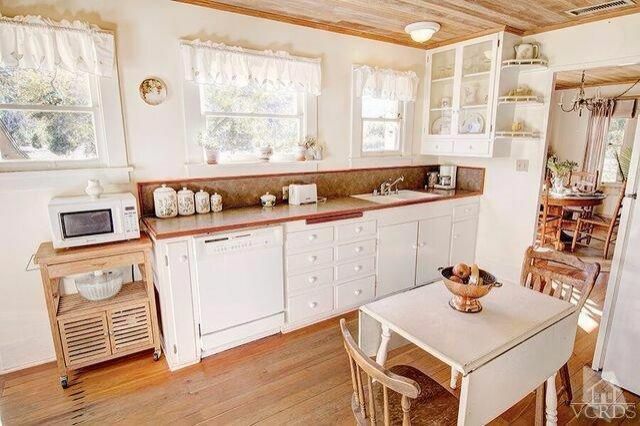 The narrow kitchen isn't huge, but has plenty of storage in the form of cabinets. Additional windows give the kitchen plenty of natural light too. 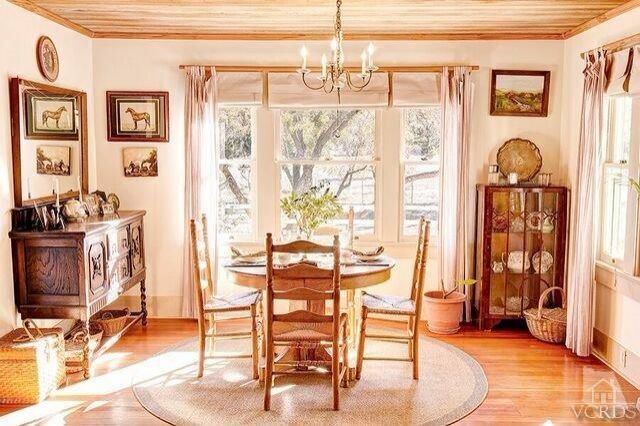 The dining room has a nice view of the yard and has plenty of natural light. 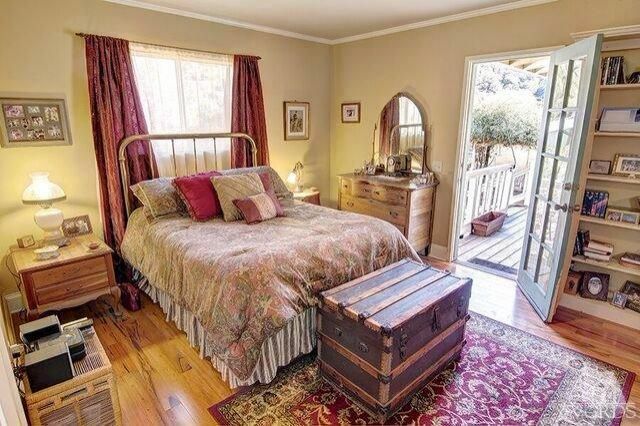 The best bedroom has a door opening out onto a deck which leads out into the yard. 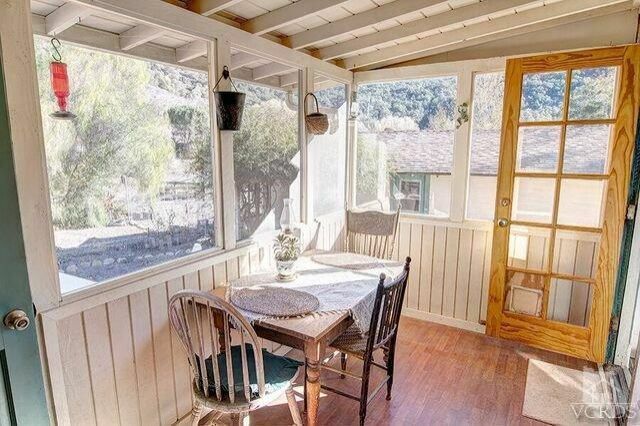 A nice open, screened sunroom of sorts offers a nice place to have breakfast in fresh air. 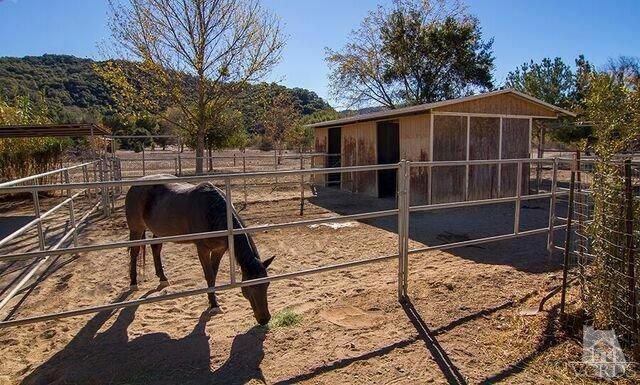 The crown jewel of the property though is the space for animals like the horse pens, chicken coop and goat pen. What'd you think of this home? Let us know in the comments below, and when you're done, share it with your friends on Facebook. They might dig it even more than you did!